The entire structure was taken apart and every piece that could be reused for the rehabilitation was reassembled in the new bridge. 80% of the original structure members were able to be used for the rehabilitation. 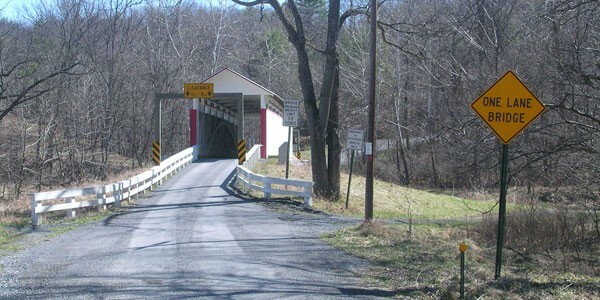 P. Joseph Lehman, Inc., Consulting Engineers undertook a major rehabilitation of the Hewitt County Bridge, located in Southampton Township in Bedford County, Pennsylvania, and crossing Town Creek. 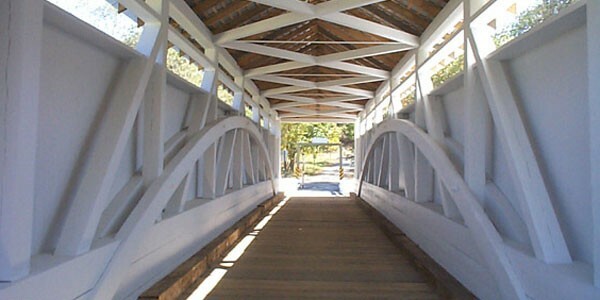 The original span of the 88-foot-long timber burr truss bridge was built in 1887. 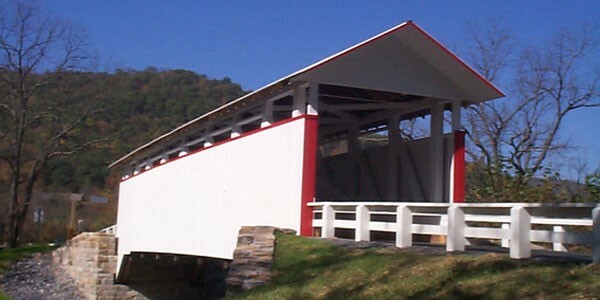 The entire structure was taken apart, each timber and span numbered, and every piece that could be reused for the rehabilitation was reassembled in the new bridge. 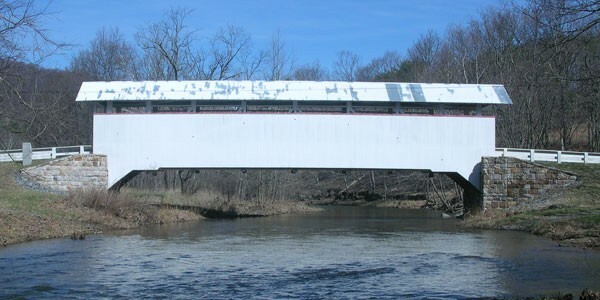 Because of the superior craftsmanship employed on the original bridge, 80% of the original structure members were able to be used for the rehabilitation. Computer modeling was utilized for the truss design to determine the weight capacity. A steel reinforced under span was also put in place. A 1983 flood washed away a stone and mortar abutment, so both abutments were replaced in the rehabilitation with cement and stone facing to recreate the appearance of the original bridge. The total construction cost of the project was $617,000.